Are you up for a sobering statistic to start the week? 75.1 percent of people don’t volunteer in a given year. Want to know what’s worse? That number is increasing. 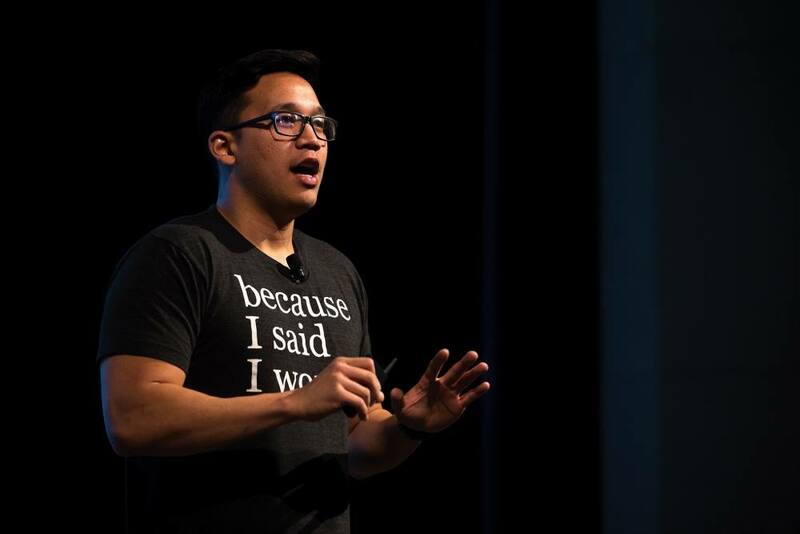 In this talk at TEDxAkron, Alex Sheen, the founder of Because I Said I Would (check out his incredible mission and organization here), explains how he spent a year volunteering at a new nonprofit each week. That’s 52 nonprofits and 52 different volunteer experiences in 12 months. And he got to the bottom of why the numbers around volunteerism are so depressing. “Volunteering is actually kind of boring,” he says. His goal in voicing these hard truths is to light a fire under nonprofits and to clarify: As a charitable organization, you are not competing with other charitable organizations. You’re competing with people’s time. It’s true; we talk about the 8-second altruistic impulse all the time. And if the urge to give lasts just 8 seconds, how difficult must it be for people to commit hours to something that could involve physical labor or uncomfortable circumstances? The good news here is that Sheen thinks there’s a way to change the statistics around volunteerism in this country. For one, he advocates thinking about volunteering through a retail mentality. We talk about that, too, as it relates to nonprofits’ need to adopt digital technology to compete for people’s attention and dollars. But Sheen brings that concept to the volunteer experience, advocating adding in small elements focused on volunteer satisfaction. Instead of setting out a tray of snacks at a volunteer event, for example, have someone walk around and hand them out to hungry helpers. Small gestures like that could go a long way toward bringing people back for another volunteer opportunity. His second piece of advice is making volunteering more social. This one hit home for us, too, because part of what we are passionate about at uBack is the belief that philanthropy thrives off community. That we don’t want to do good in a vacuum. We want to share these experiences and connect through them. Sheen agrees. Whether it’s games or ice breakers or whatever, Sheen says volunteer events need a way to connect you with the people you’re working with and get you talking. No one wants to spend four hours with a total stranger in total silence. And finally, Sheen says nonprofits need to teach their volunteers like a TEDTalk. What he means by that is, stop focusing the volunteer orientation on how many chapters your organization has or how many cans of food you’ve collected this year. Talk about the issues and the impact. Make the volunteers care more deeply about the cause. Educate them about the need because people tend to think one person or one hour doesn’t really matter.